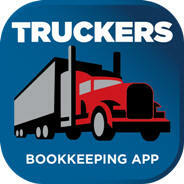 Software users bookkeeping support is designed to simplify the month end bookkeeping procedures and leave truckers using the software, free to just enter incomes and expenses in customized fields and let us do the rest. Here is How it work! Click the upload link in the software, and send us the workbook with the data you entered for the month, to allow us to do the data integrity review, merge the monthly date and send you Quarterly P&L Reports. This way, you will be able to print your quarterly operating result financial reports and GST/HST Net-Filing ready report and file your return if you wish to do so, or simply have us do the filings for you. sample reports you can print each month. At the business year end we will send you the year-end bookkeeping data for the full business year, to allow you to view and print the operating result financials for the year. This will allow you to provide your tax accountant with the bookkeeping data for the year to do the tax filings as data and reports, instead of paper source documents to process. Month-end Data Merging Management is a subscriber service. Copyright © 2002-2019 TruckersBooks. All Rights Reserved.